With the construction of the Astrodome, NASA’s new Manned Spaceflight Center and plenty of changes for the University of Houston, the 1960s proved to be a pretty eventful one for the city. 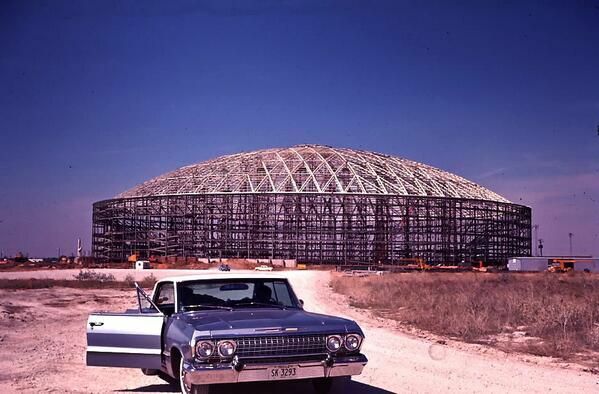 Check out the photos below to take a glimpse into Houston’s past. 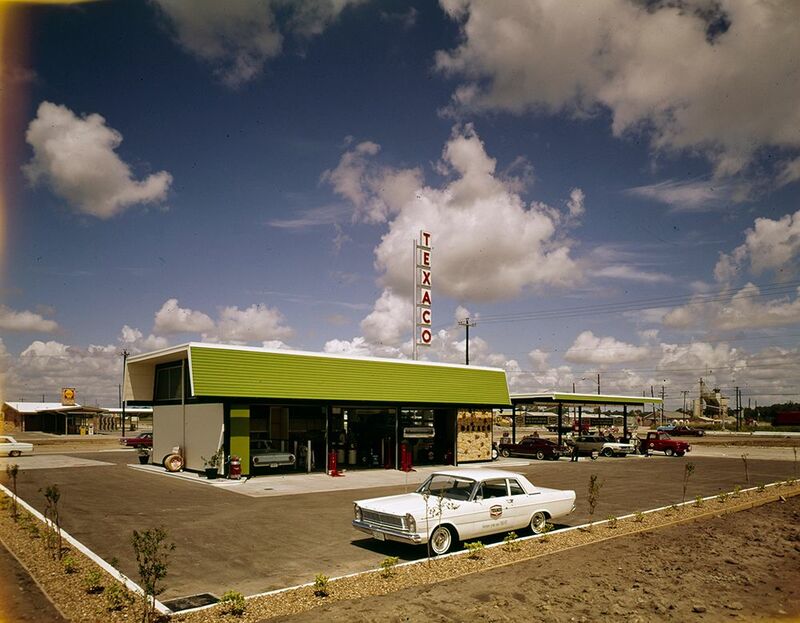 In 1963, Texaco introduced a new logo. Black letters spelled out the company’s name against a white background with a red outline, creating a clean look. The new logo still incorporated the old one with a green T in the middle of a star at the bottom. 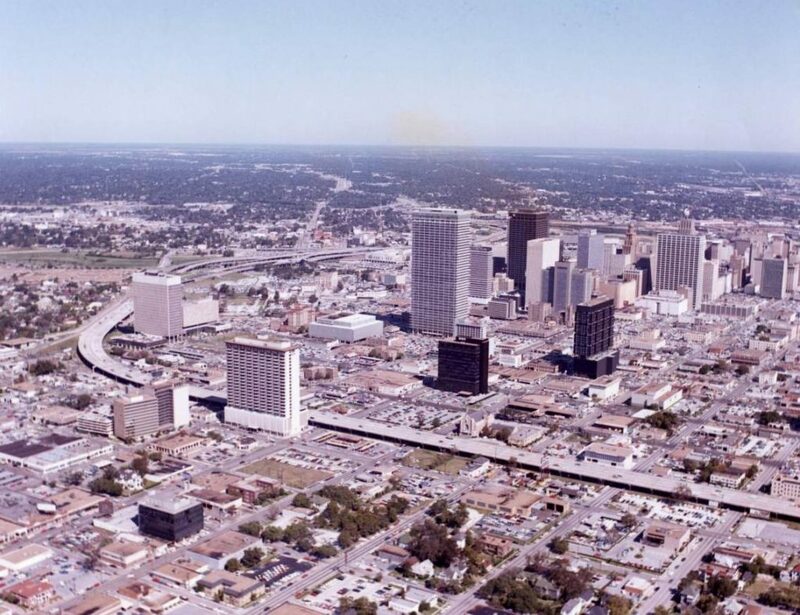 Houston was growing steadily in the 20th century. 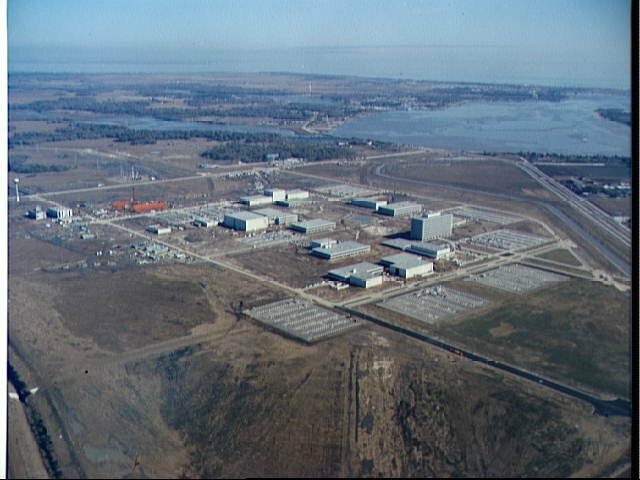 In the year this photo was taken, the city’s metropolitan area was expanded to include Brazoria County, Fort Bend County, Liberty County and Montgomery County. 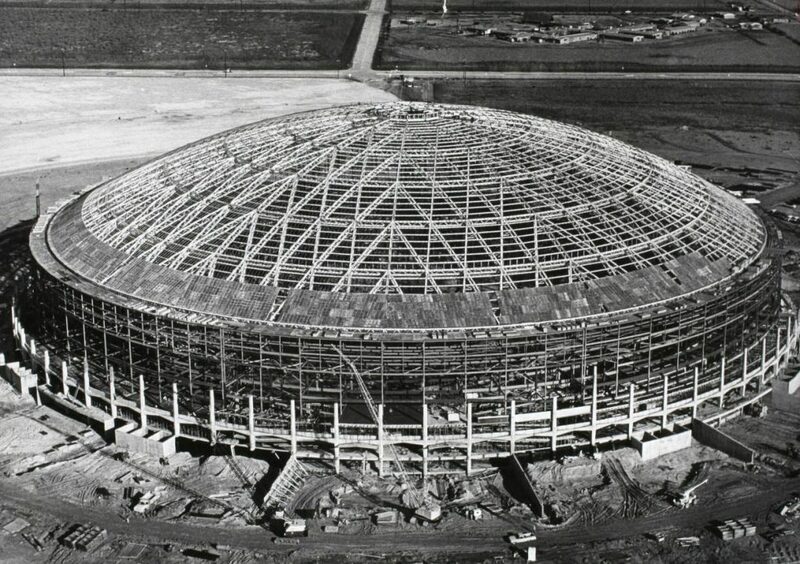 The Astrodome, the first domed stadium in the world, was originally called the Harris County Domed Stadium. The structure soon became known as the Eighth Wonder of the World for its sheer size and architecture. From its opening in April 1965 up until 1999, the Astrodome was home to the Astros baseball team. 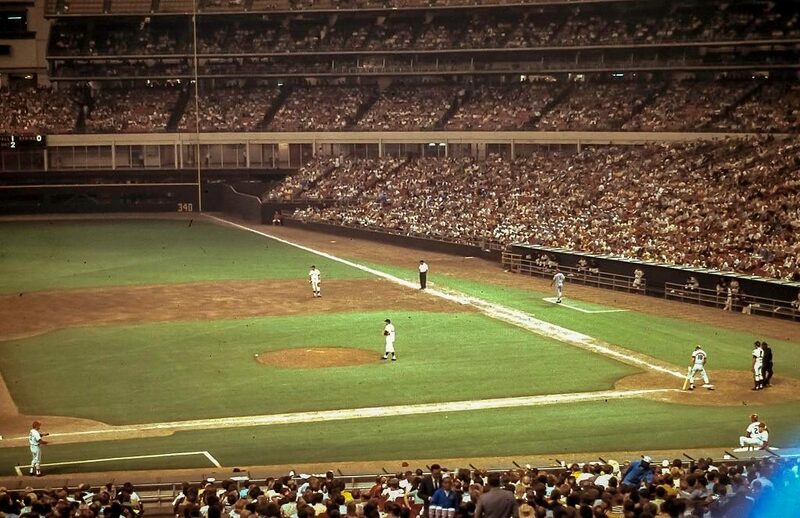 Mickey Mantle had the honor of hitting the first home run in the stadium in an exhibition game against the Yankees on April 9th. Construction of the massive, 570-foot San Jacinto Monument took three years from 1936 to 1939. 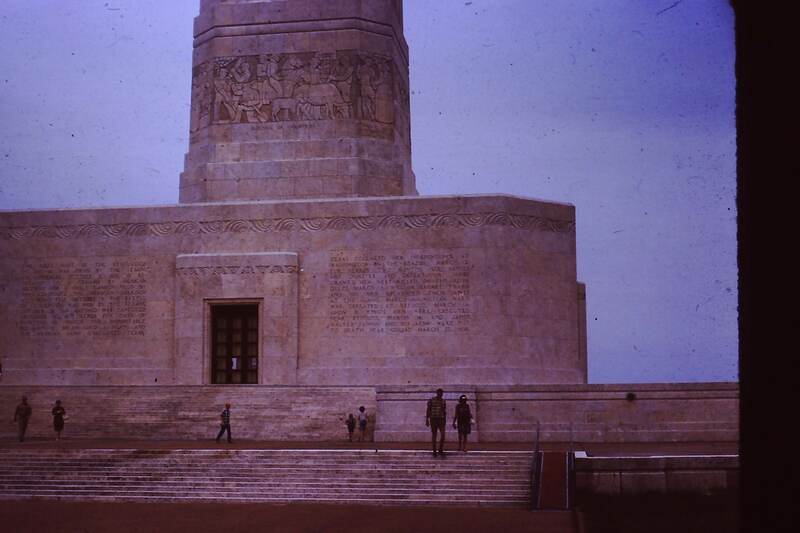 The monument is one of the most impressive examples of art deco architecture in the US, and the American Society of Civil Engineers recognizes it as a National Historic Civil Engineering Landmark. 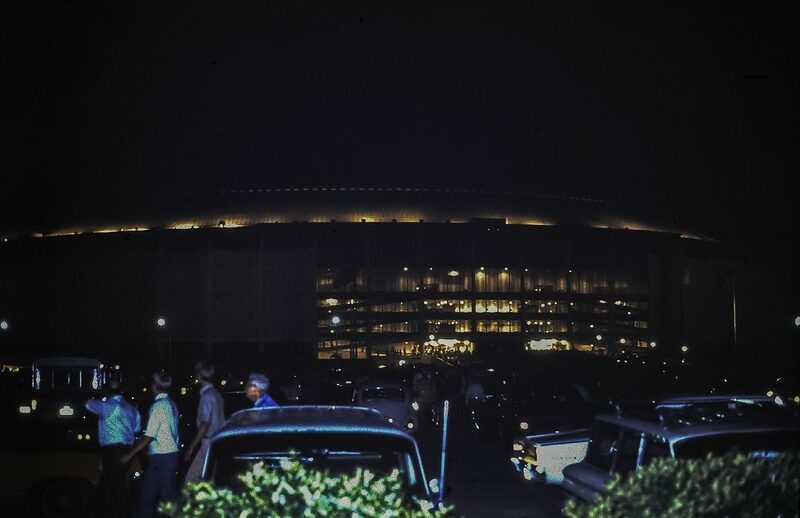 Mickey Mantle’s home run wasn’t the only “first” in the dome. In 1965, Judy Garland was the first artist to hold a concert there. She earned almost $50,000 for the show, and audience members paid $1 to $7.50 for tickets. 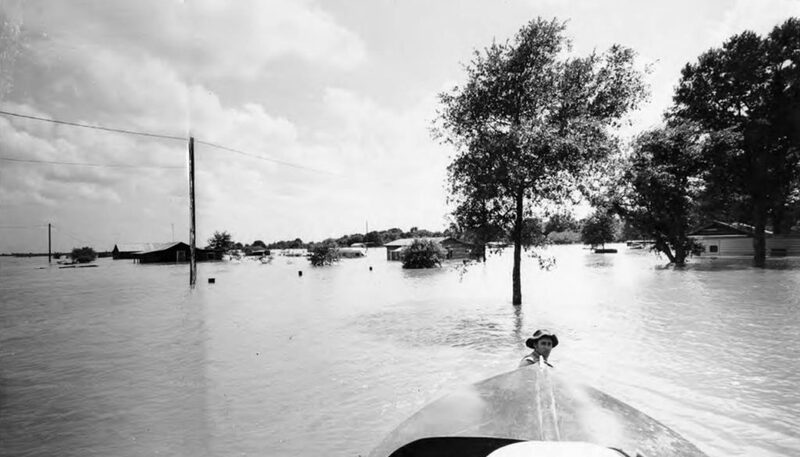 In June 1960, southern Texas saw a massive tropical storm, which brought flooding to many areas of Houston. Major highways were closed, and it’s estimated that over 150 houses were severely damaged from the storm. 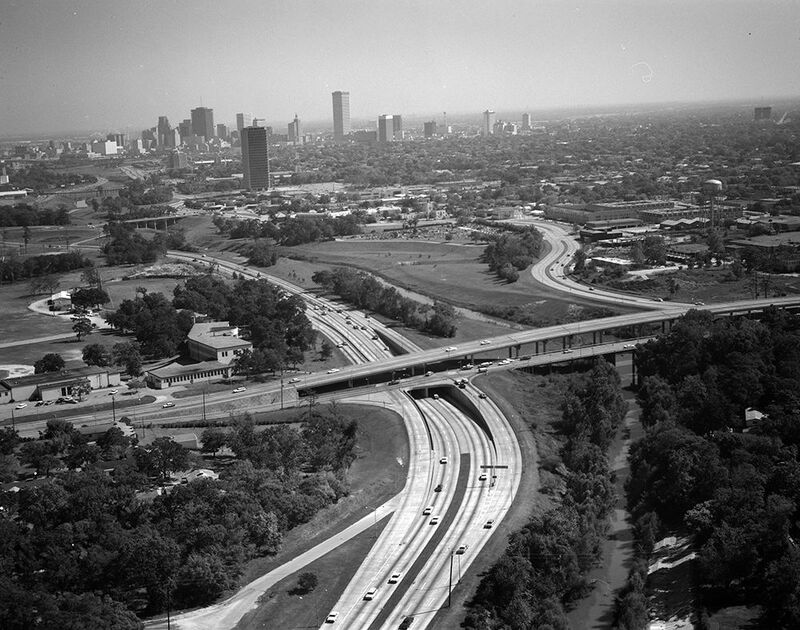 The 1960s were a decade of massive growth in Houston. 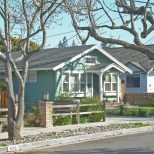 In 1960, the population was 938,219, and by the end of the decade, it had surpassed the one million mark. Aside from a handful of recorded flurries in 1895, 1996, 1989 and 2008, Houston’s climate isn’t exactly conducive to Christmas time snow. 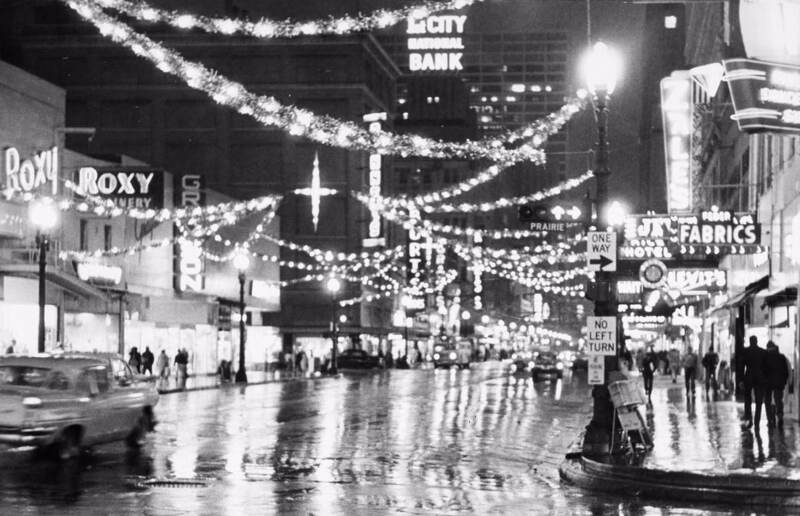 Although in 2004, for the first time in recorded history, snow fell on Christmas Eve in Houston, resulting in a holiday to remember for many Houstonians. 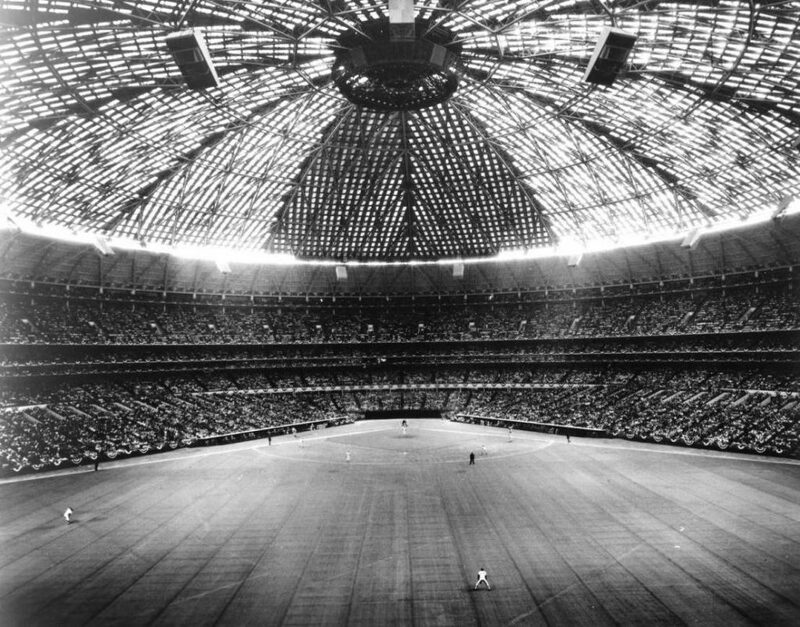 Baseball players quickly discovered that the sun coming through the 4,007 skylights in the Astrodome made it pretty difficult to see during the games. 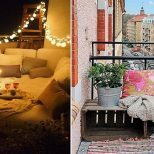 The skylights were painted over, causing the grass to die, thus resulting in the birth of AstroTurf. The 20th century is sometimes categorized as a less… politically correct time. A story on CBS Houston featured Astros programs from the decade with drawings of a player feeding a baby bear a bottle marked with the letters LSD, poking fun at the Chicago Cubs and the 1960s drug culture. In 1962, Houston saw the opening of the Manned Spacecraft Center. Today, the center is called the Lyndon B. Johnson Space Center, renamed in honor of the late president, who was a Texas native. The center spans 1,620 acres in the Clear Lake area and serves as one of NASA’s largest sites in the country. 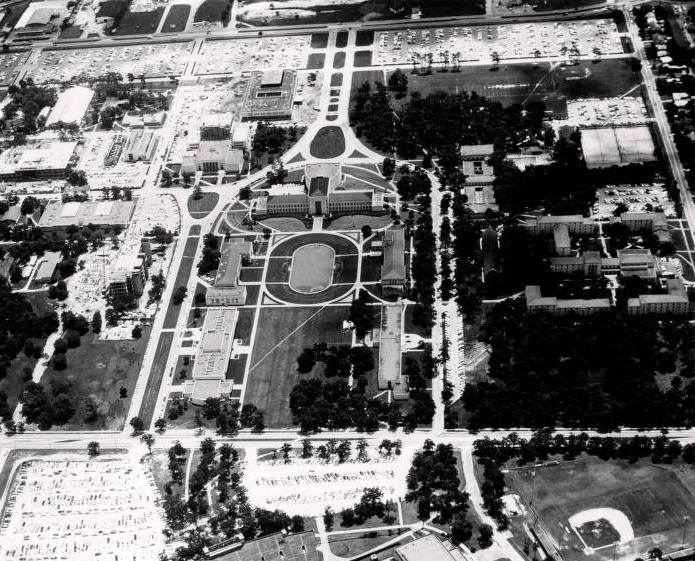 In 1963, 44 years after it opened its first building, the University of Houston became a state institution. 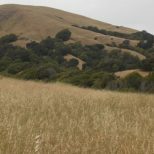 The school has grown and evolved significantly since then, and now boasts almost 300 undergraduate and graduate programs and a student population of almost 40,000.